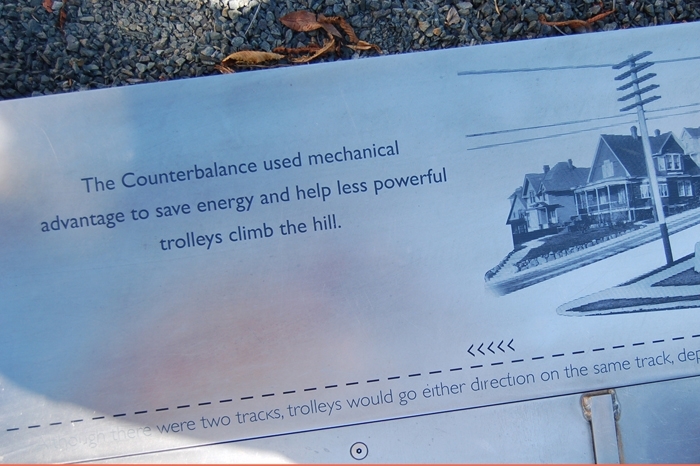 The site of Counterbalance Park ‐ An Urban Oasis is a relatively level, 12,000 square foot vacant property bordered on two sides by streets and two sides by condominiums. 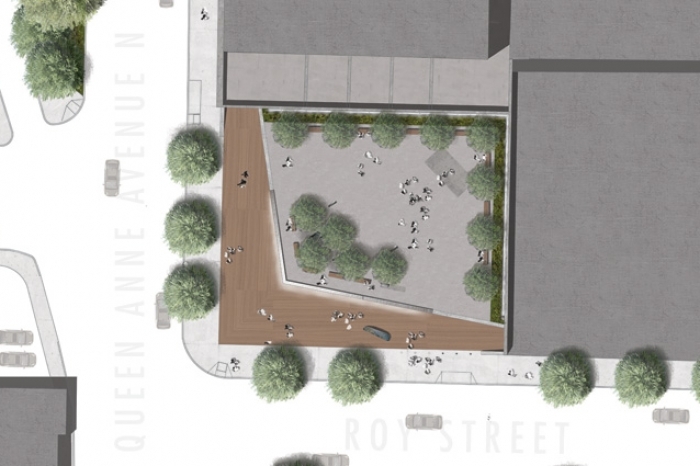 The design, by Murase Associates, of Counterbalance Park ‐ An Urban Oasis is compatible with the goals of the Mayor’s Downtown Park Initiative and is included in the Center City Parks Plan. Parks has developed a new park plan that represents a sophisticated and elegant multi‐use facility that will be the gateway park to Uptown Queen Anne Neighborhood. 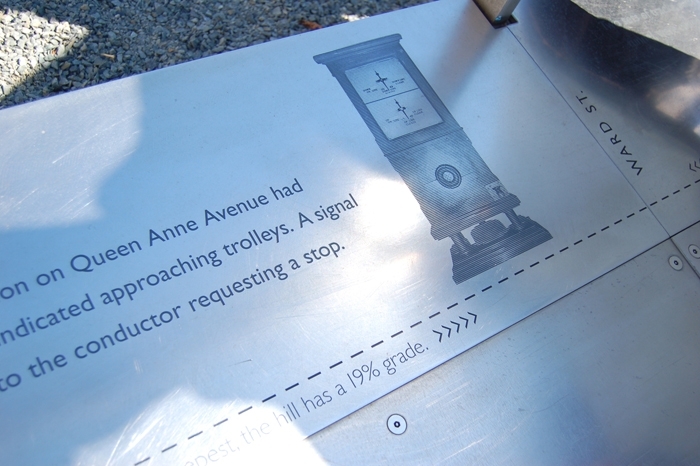 RMB Vivid developed interpretive graphics that depict the life and times of the Counterbalance trolley that ran from 1901‐1940 up and down Queen Anne Avenue North between Roy and Comstock. 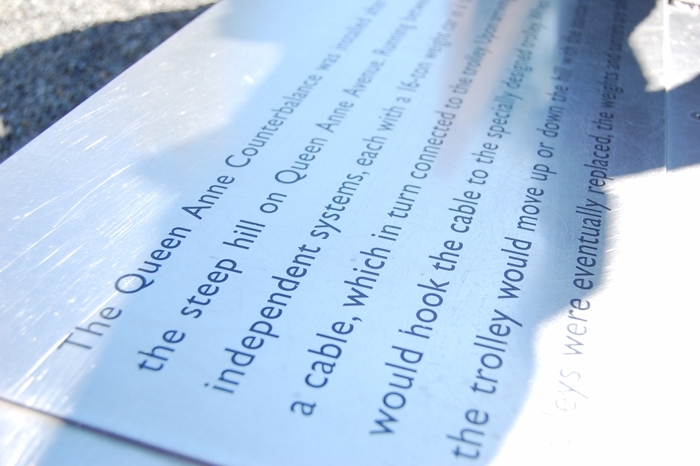 The graphics are etched into the permanent stainless steel seating surface at the corner of the park.